When we started Muni Diaries, one of the first stories was about nail-clipping on the bus. It’s become such a popular rant that we even incorporate it into Muni Diaries Live in the audience portion — Suzanne’s big toenail clipper is the signal that your time on stage is up. I guess when some people have to clip their nails, the urge to so is like needing your fix for caffeine, chocolate, or heroin. That, or people still don’t care that this ends up online. 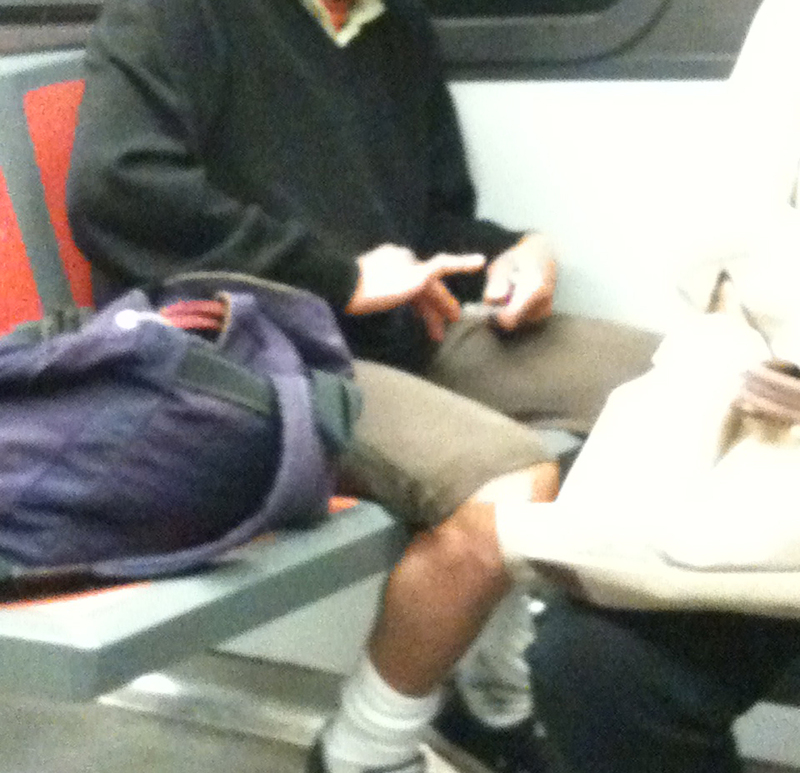 Photo by Muni rider XC. “NO nails, fluids from your body, or crap-you shouldnt-have-on-the-bus should be left behind”. I still don’t understand why, I would be embarrassed to do it, like picking at my teeth or something. If we stopped cropping out the faces, maybe people would be shamed into stopping.